"Conversations are the way workers discover what they know, share it with their colleagues, and in the process, create new knowledge for the organization. In the new economy, conversations are the most important form of work." Imagine last year's record-breaking sales performance has earned representatives from the different functional areas of your company—marketing, sales, account management, HR, IT, etc.—with an awards trip to the islands. As the plane descends toward its destination, mechanical troubles require an emergency water landing (yes, you should have been paying attention to the flight attendant when she showed how to inflate the life vest under the seat). All passengers swim safely to different islands around the plane—marketing managers to one island, sales managers to another island—and so on. However, with no operable electronic devices, you are unable to communicate with your colleagues on the other islands. How does this story end? While physical islands don't separate managers, conceptual ones certainly do. Research with 880 managers shows that only 35 percent are aware of other functional group's strategies within their own company! Why? Less than half of managers set aside time on a regular basis throughout the year to think about and discuss strategy with their colleagues. The result is that many managers reside on "Islands of Insight"—secluded beaches of great ideas that go unshared, unnoticed and unused by others in the organization. These Islands of Insight are perhaps the greatest source of untapped potential in any organization. The good news is that the key to unlocking this potential doesn't require new capital, equipment, or people. All it requires are conversations. A strategy conversation is defined as a verbal interchange of thoughts that result in new insights on how to achieve a goal. The goal may be quantitative, qualitative or problem-solving in nature. The interchange, or giving and receiving of ideas reciprocally, represents the intersection of thoughts, opinions, and assumptions that begins to create a shared understanding of the situation. Strategy conversations are valuable in internal situations such as setting strategic direction, gaining insight into one another's functional area strategies and innovating for competitive advantage. They are also of value in external situations such as developing strategic partnerships with customers, strengthening relationships with suppliers and understanding market dynamics. 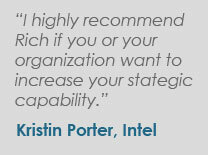 Silos—Departments and levels are not on the proverbial same page, because they are unaware of each other's strategies. Lack of buy-in—Inability to influence commitment without authority across functions. Fire drills: Constantly reacting to the urgent, but unimportant, matters that pop up. Do you notice any of these barriers to strategy conversations within your group? Transactional versus a partner relationship with customers, resulting in price-focused interactions. 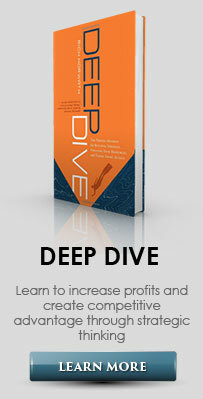 Inability to ladder up within a client or account, leaving you stuck working with non-decision makers. Selling product instead of facilitating the exchange of value, causing you to be shut out of future opportunities with key customers because you aren't bringing anything new to the table. Are any of these barriers to strategy conversations with customers negatively affecting your business? 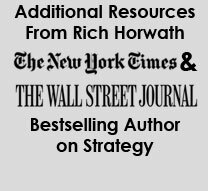 To move strategy conversations from concept to reality, I created the Strategy Conversation Framework to provide a guide to leading strategy conversations internally with your teams and externally with your customers. 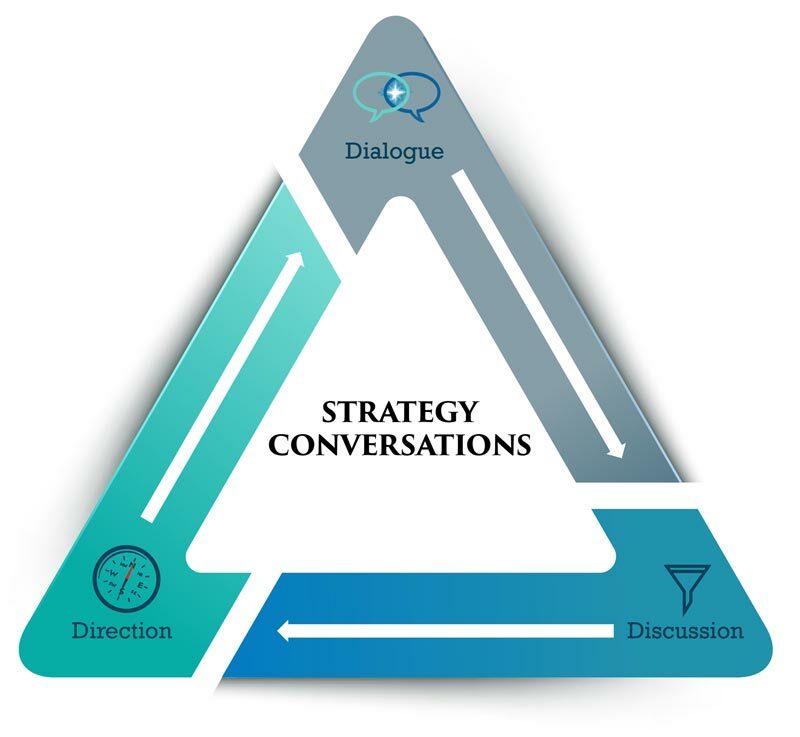 Strategy conversations involve three elements: Dialogue, Discussion and Direction. The intent of the Dialogue phase is to create a forum for the free flow of meaning, resulting in a shared understanding of the key issues. It is through dialogue that we learn of each other's assumptions, ideas and opinions, not so we can judge them, but so we can observe them to create something new. To that end, the mindset in the dialogue phase is exploratory, with the intent of "thinking together," as opposed to the serial monologues that tend to dominate many conversations. How would we describe the situation at the heart of this strategy conversation? What are we trying to achieve—what's our goal or desired outcome? 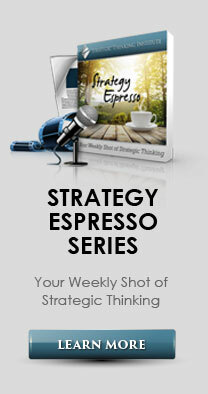 What strategic thinking questions or tools will catalyze the conversation and generate insights? 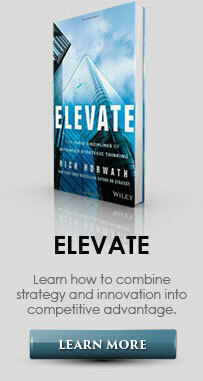 The intent of the Discussion phase is to explore options to achieve the goal established for the strategy conversation. Here we are beginning to determine the pool of alternatives for reaching our goal by breaking down groups of ideas into potential pathways to move the situation forward. Here's what I think and why I think it. What are your thoughts? What do you see differently? How can we combine several of these ideas to go from "either/or" to "and"? 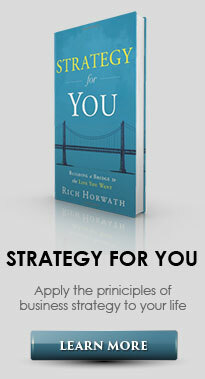 What are 3-5 mutually exclusive options for achieving our goal and the pros and cons of each? The intent of the Direction phase is to provide a clear path forward to achieve the goal of the strategy conversation. The Direction phase takes the input and insights generated through dialogue and discussion and configures them into a decision on which course of action to pursue. This decision takes the form of a strategic framework designed to communicate the chosen alternative to others and provide instruction on its implementation. Which alternative have we decided to select to meet our goal and why? What are the 3-5 strategic themes that best represent where we will focus our resources to enable our strategy to reach our goal? What are the roles (who), activities (what), outcomes (why) and time frames (when) associated with this plan? 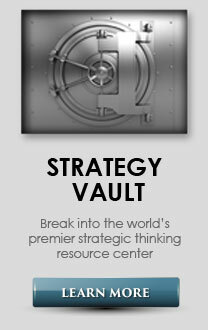 Strategy conversations can transform the internal Islands of Insight in your organization into a powerful Insight Ecosystem where people's best thinking is shared and leveraged on a regular basis. They can span the silos between functional areas and levels, create greater commitment to one another's strategies and extinguish a culture of fire drills. From an external perspective, strategy conversations can create a common ground of value from which you, your customers and suppliers can all benefit. They can shift your customer's perspective of working with you from that of a transactional vendor to a real strategic partner. If you see gaps in how your organization functions, it's likely that the central gear of strategy conversations is missing. Without that gear, silos will stand, assumptions will go unchecked and potential customers will be lost. Converse now, or forever hold your peace.